Masako Yamamoto holds a Doctor of Education (Ed.D.) and an M.S. degree in Music Education from The University of Illinois at Urbana-Champaign. She also holds a B.A. degree in Music (major in voice and minor in piano) from Elizabeth University of Music in Hiroshima, Japan. 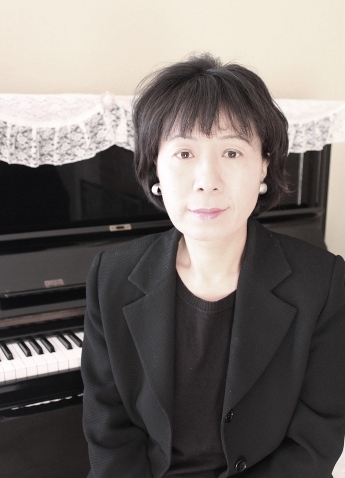 Ms. Yamamoto’s teaching career started after completing her undergraduate study, and she has been teaching music for more than 25 years. She has taught music classes in middle schools, special education schools, preschools, and at music studios in Japan and in the US. Besides music, she has taught Japanese language/culture in elementary schools and at the university level. Currently, she is teaching group music programs as well as piano and voice privately. She was also a conductor at Crystal Children’s Choir. Besides teaching, she has performed as a solo vocalist in various concerts, including two solo voice recitals as a guest artist and the role of "Duchess" in Verdi’s opera "Rigoletto" at Illinois Opera Theater. Her career is noted in the 21st Century Award for Achievement and Who’s Who in America. 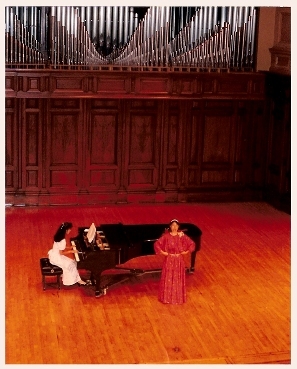 The photo above is of her Solo Vocal Performance at the University of Illinois Smith Hall. Sunmi Kim is a pianist, organist, and choir conductor at church. She studied Composition of Music at Ewha Womans University in Seoul, Korea and was involved in playing the organs and piano for the church. She has been teaching students to play the piano for over 20 years. She is now involved at her church as a choir conductor while she continues to teach others to love music through the piano. 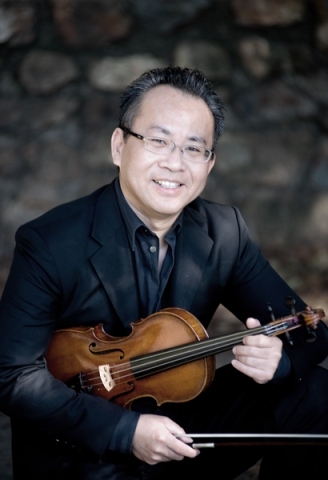 Wakeford Gong holds a bachelor’s degree in Music from UC Berkeley, where he studied violin with Serban Rusu. He is an active musical theater musician, working with musical theater companies in the Bay Area including Youth Musical Theater Company (YMTC), Berkeley Playhouse, Woodminster, the Berkeley Symphony and the Awesome Orchestra Collective. An experienced pedagogue, Wakeford has taught violin students of all ages, emphasizing musical expression through the proper use of technique. His talents also go to the literary arts; from 2001 to 2010 Wakeford was associate publisher of Pureplay Press, an independent Bay Area publishing firm, in charge of book design and production. Christina holds a Master’s degree in Music Education from the University of Southern California and a Bachelor of Music degree from the University of Arizona. As a piano major, she has over 20 years of experience in teaching piano. 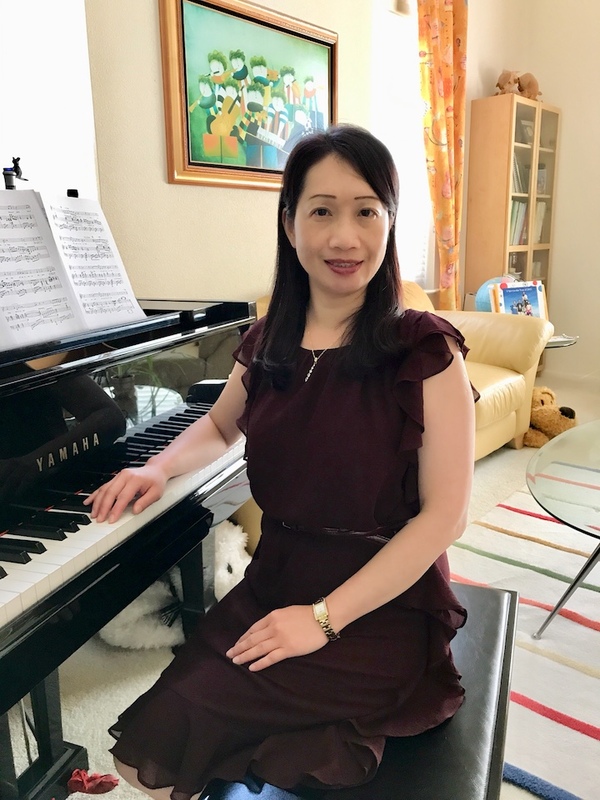 She is a member of the National Piano Guild Association and is a certified teacher of Suzuki Piano Pedagogy, which allows her to build a strong musical foundation in piano playing for children and adults. Christina also has an experience in teaching children’s choirs, Orff/Kodaly Music Classes, and Kindermusik programs for pre-schoolers. She also has worked as a professional music instructor with Music for Minors and delivered quality music lessons at several elementary schools in the San Mateo School District. In her spare time, she serves as a worship leader and keyboard player at Tree of Life Christian Church. Christina wishes to continually bring the beauty of music to children’s life. Originally from Hong Kong, Teresa Chan got her bachelor degree (Honor) in Music Education at the Education University of Hong Kong. After that, she served in a primary school as a music teacher for many years. Besides teaching, she was the pianist and instructor in choir, the conductor in recorder band and also the co-ordinator in Creative music activities. She has been teaching piano and music theory for over 10 years. In addition, She was a clarinetist in symphonic bands which were invited to perform in the Music Festival in Taiwan and China. And now, She is the pianist as well as the conductor in church choir. "Music is always there in my life!" , she said. With her music knowledge and enthusiasm, Teresa believes music can bring us joy and she wants to share everyone the happiness given by music! HyunSuk Hannah Cho began her formal vocal training at the Soong Eui Women's College in Seoul, South Korea in 1989. She holds a Bachelor’s (B.A.) degree in Music from Oikos University in which she graduated from in 2013 with a major in vocals and a minor in piano. 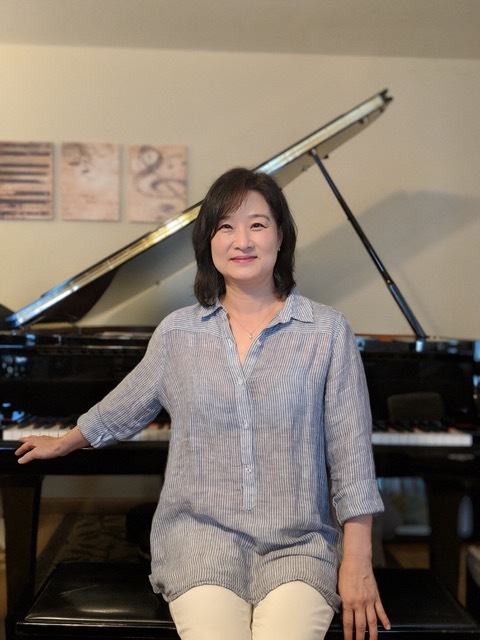 Over the last two decades, she has been involved in the local Korean church community as a choir conductor, instructor, leader, guest singer, and is currently the music director of Hayward Korean Baptist Church. Hannah has also released two Korean Gospel albums; the first in 2009, and the second in 2013. Hannah has a passion for teaching and guiding students of all ages and skill levels. Her hope is to bring joy into her students’ lives by helping them achieve their full potential while inspiring them with her love for music. 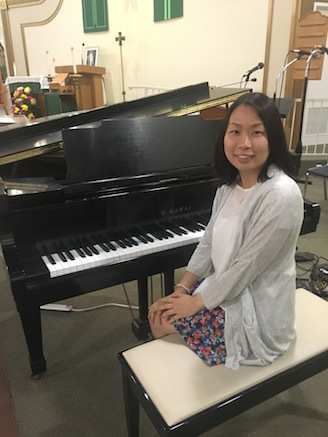 Melody Liu has been an active and experienced church pianist since the fourth grade. She received her Bachelor’s degree from California State University, East Bay. 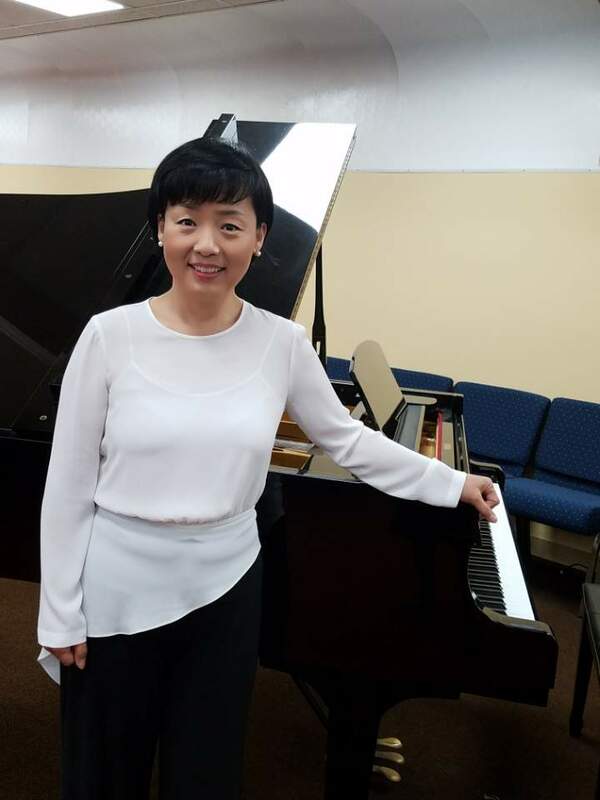 Over the last three decades, she has been actively involved in several Presbyterian churches in Taiwan as well as in the States as church pianist, piano teacher, keyboard player and choir piano accompanist. She is also an experienced accompanist for several local violin recitals and community events. Melody started piano teaching with her own two children, whom were active members of SFSYO and ECYS for many years. Most notably, Melody launched "SingYeMusic" in 2016, a music ministry to spread God’s love through her composed music. Since 2016, she has published three songbooks in Taiwan for three consecutive years. With her music knowledge, enthusiasm, and experience in teaching piano, Melody is confident in fostering a deep appreciation and love for music in children of all ages. Michelle Chi holds a Bachelor of Arts in Piano Performance from Sookmyung Women’s University in Seoul, South Korea. 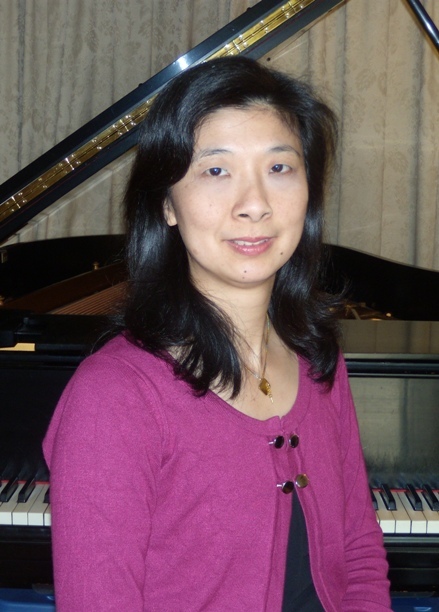 She has over 25 years of experience teaching piano for all ages, styles, and skill levels in the Bay Area. She also has a plethora of experience working as a church pianist, choir accompanist, and keyboardist. Since 2006, she has been an active member of the Music Teacher’s Association of California and currently serves as the second Vice President for the Southern Alameda County Branch. She guides many students to success each year through the MTAC’s Certificate of Merit program. Michelle’s goals when teaching students are to help students build up basic skills and to develop students’ abilities and talents to an advanced level. She is deeply committed to helping her students enjoy, understand and express music in real life! Eunice Kim is currently pursuing Master of Arts degree in Sound Design from Academy of Art University. She holds a Bachelor’s (B.A) degree in Piano from Chugye University in Seoul, South Korea. She has been teaching classical piano as well as jazz piano for 7 years. 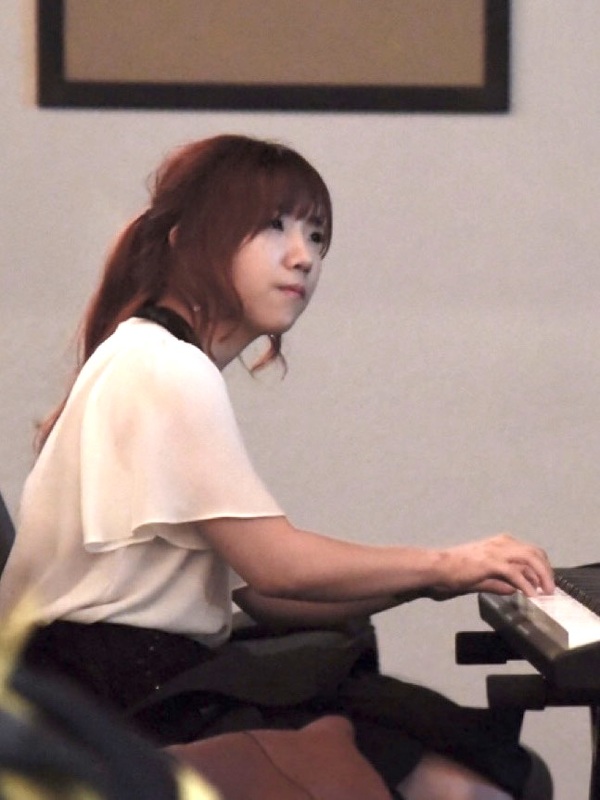 Besides teaching piano, Eunice Kim is composing and sound designing. She has an experience in composing K-pops, Commercial music and Brand song for companies. She recorded and played many soundtracks for films. She also released two digital single albums as a singer-songwriter, which is composed, played, sang a song and wrote lyrics by herself. 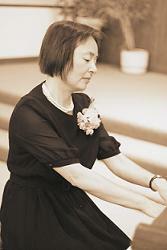 She has been involved in several Korean churches as well as American churches as keyboardist and piano accompanist. From her musical experience, she has strong skills in teaching basic as well as advanced level piano lesson to the students. 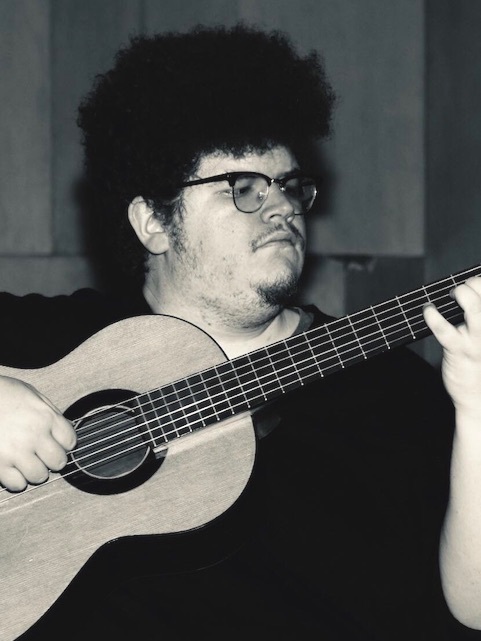 James Leyba holds a Bachelor of Arts degree in Classical Guitar Performance from California State University East Bay. Playing guitar since he was a teenager, James carries with him over ten years of guitar experience, including, but not limited, to pop, rock, jazz, hip-hop and classical music. James also has over ten years of experience in Voice, performing alone and in choirs. His pursuits in vocal music have led him to perform in a variety of venues, from local churches to across the Pacific Ocean in Japan. Due to his high school and college ensemble experience and completion of Cal State East Bay’s Music Education circuit, he also has performance experience with percussion, viola, violin, piano, African drumming and bass guitar. Ilan Emily Lin graduated from The Pennsylvania State University with a Master’s Degree in Music Education. She started play piano at age of five, continuing through her graduate school under Dr. Richard Bundy, Dr. Linda Thornton, Dr. Robert Gardner, and French pianist Ms. Marylene Dosse. Receiving training from MYC (Music for Young Children), Harmony Road, and Musik Garten, she has been teaching children's group and private piano/violin class since 2006 in the Bay Area. Emily is a member of American College of Musician, Music Teacher’s Association of California (CM) and Chinese Music Teacher’s Association of Northern California. She also studied violin for many years, with Ms. Milda Martisius and Ms. Gongching Ruan. 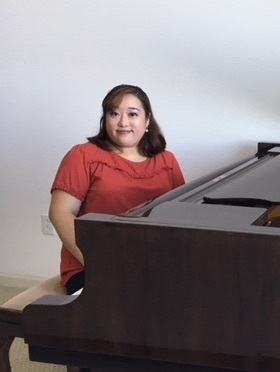 Ms. Lin created a fun and inventive piano/violin teaching style, which can be adapted for students of different ages and levels to reach each student's individual goals, in classical and popular music.